Are you planning to attend Microsoft TechEd this year? If so, I’m happy to announce that I’ll be delivering a session entitled “The Future Is Now! 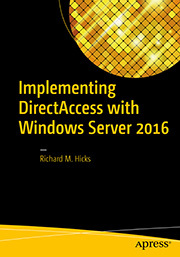 Next Generation Remote Access Today with Windows Server 2012 DirectAccess”. 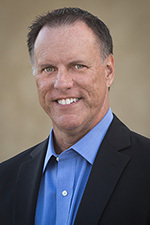 I’ll be presenting at both TechEd North America in New Orleans, LA, and at TechEd Europe in Madrid, Spain. Looking forward to seeing you there! Direct Access on Server 2012 way to go……..works like a charm and resolves a lots of issues and fits very well if you are running KMS licensing server in the corporation. 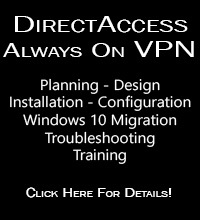 Direct Access is LAN Extension and its a ultimate a awesome user experience,.,…….!!! !